Don't miss this Beautiful Completely Restored & Renovated, Move in Ready 3 Bed/2 Bath Home in the HeartÂ of Ardsley Park! Location! Location! Location! One Block off of Washington Ave! 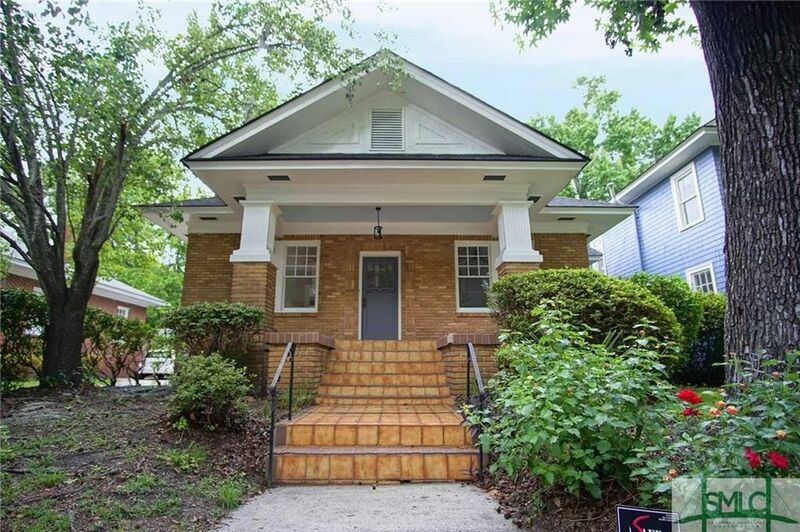 Walk to various Parks, Charles Ellis Montessori School and Savannah Arts! Located in the highly desirable Jacob G Smith School District! All Brick Home features Open Concept Living Area, with Separate Living and Dining Areas that flow together - Perfect for Entertaining! All Original Hard Wood Floors! Kitchen is complete with Breakfast Bar, Custom White Cabinets, Granite Countertops and Brand New Appliances including Gas Stove! Master Suite includes Walk in Closet and Gorgeous Bathroom with Granite Countertops and Gray Tile Shower! Lots of storage in the Large Attic upstairs! Could be finished into another Bedroom/Bonus Room! Separate Laundry Room behind Kitchen! Huge Back Porch off Laundry Room and Fenced Backyard! Park your Car off the street in the Garage! Enjoy life in Charming Historic Ardsley Park! Directions: North on Abercorn to Washington, Right on Washington, Right on Reynolds, Right on 48th St. Property will be on your right!